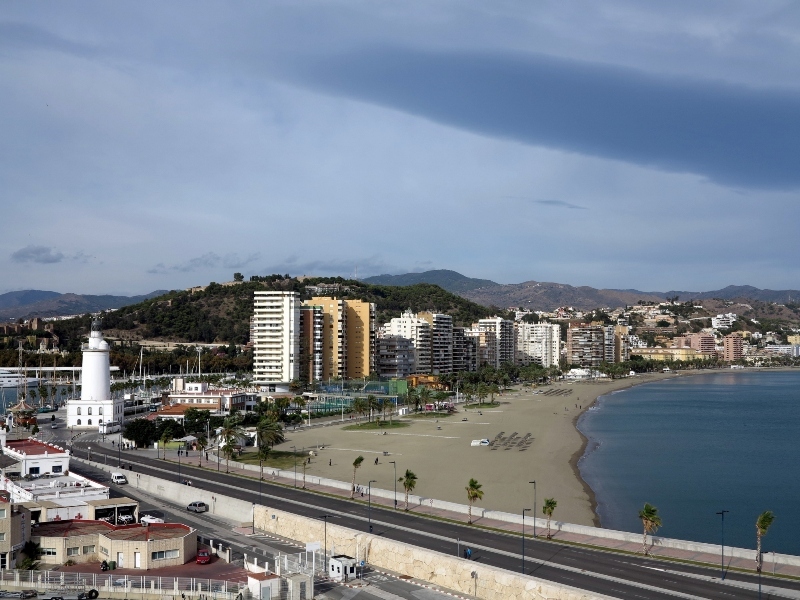 The MS Ryndam left Barcelona (see: Barthelona ith in Thpain) and the magnificent Sagrada Familía (see: Sagrada Familía Exterior; Sagrada Familí Interior Part 1; and Sagrada Familía Interior Part 2) behind on November 2 and set sail for the Spanish coastal city of Málaga as a prelude to our passage through the Strait of Gibraltar (from a previous cruise see: Gibraltar — What an Englishman Calls a Rock). 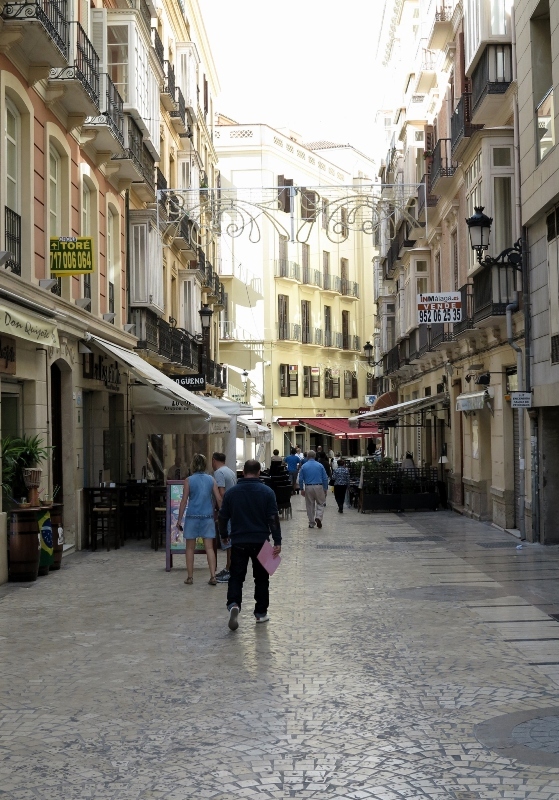 We arrived at Málaga on the morning of November 4. 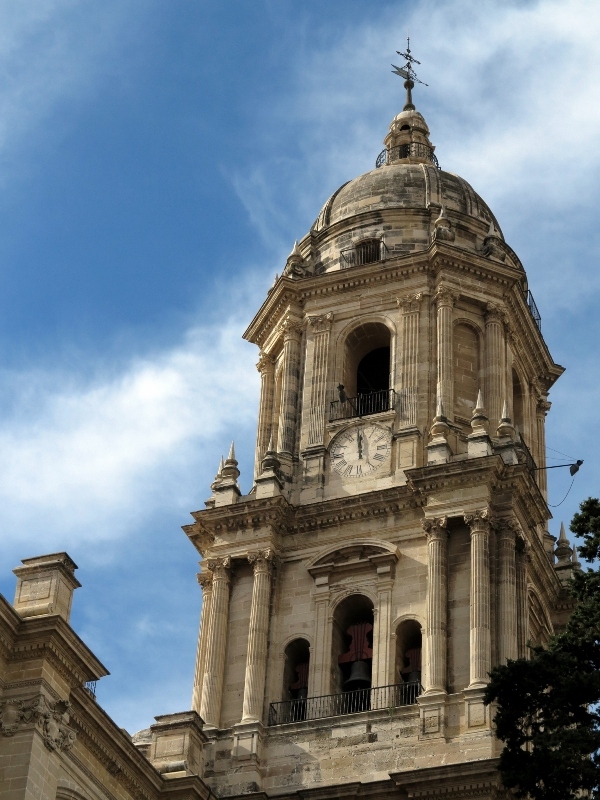 Málaga was founded by the Phoenicians far back around 770 B.C. But don’t worry. The buildings are a bit more modern than that. 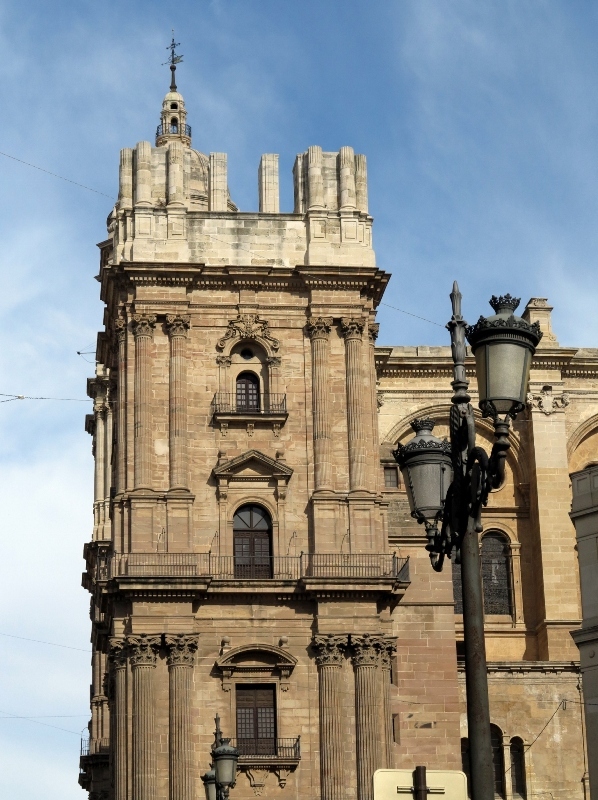 One stunning example is the Málaga Cathedral of the Inception, on which construction began in A.D. 1528, and which took some 254 years to complete. 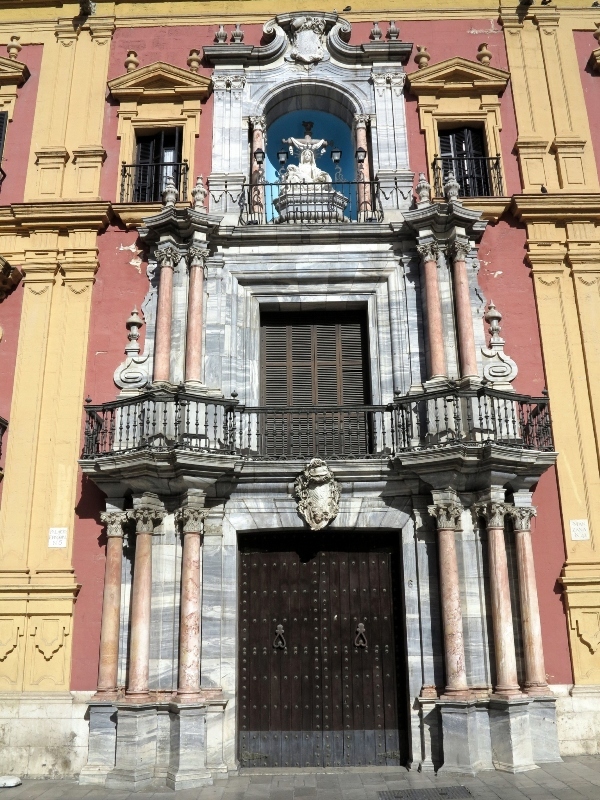 Across the street from the Málaga Cathedral is the old Bishop’s residence (now a museum, among other things) at the Palacio Episcopal de Málaga (Episcopal Palace of Málaga). 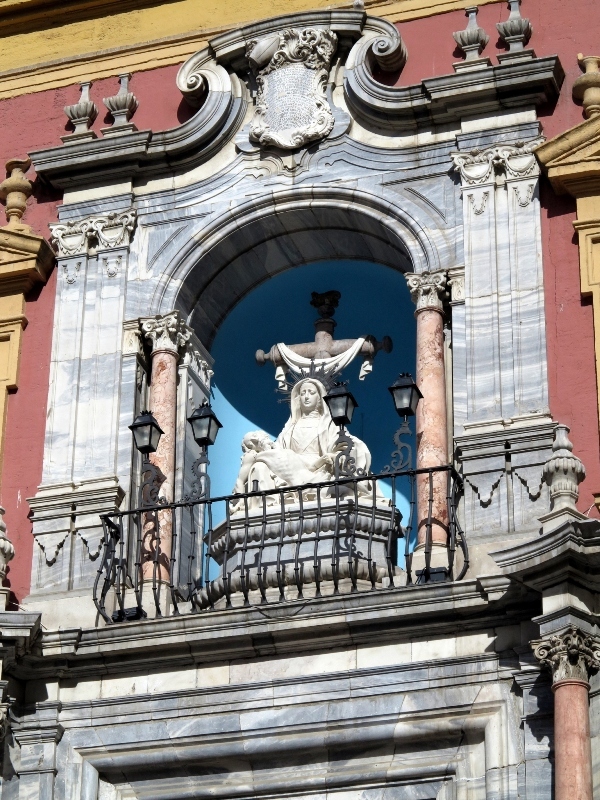 Built into the Palacio Episcopal façade is a niche holding a statue of Our Lady of Sorrows.